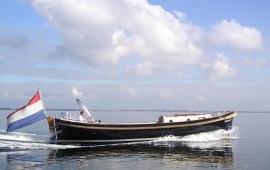 Boat rental for a Scattering of ashes on the Venetiaanse gondel is possible for up to 6 persons. This ship sails here: Amsterdam canal cruise. The homeport of this ship is Amsterdam. 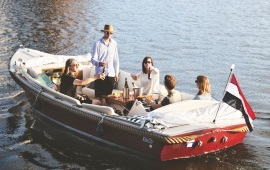 Boat rental for a Scattering of ashes on the Rib is possible for up to 8 persons. This ship sails here: IJsselmeer, IJmeer / Pampus, Ketelmeer. The homeport of this ship is Heeg. Boat rental for a Scattering of ashes on the Kaprifolia is possible for up to 8 persons. 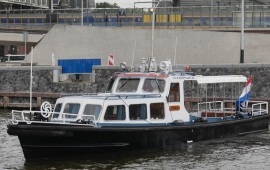 This ship sails here: Amsterdam canal cruise, The IJ, Amstel, Vecht. The homeport of this ship is Amsterdam. 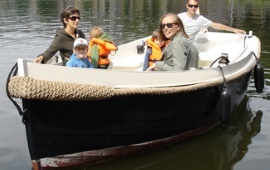 Boat rental for a Scattering of ashes on the Huursloep Utrecht is possible for up to 12 persons. This ship sails here: Utrecht. The homeport of this ship is Utrecht. 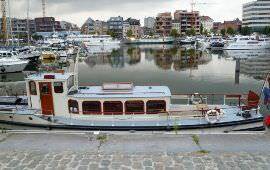 Boat rental for a Scattering of ashes on the Elektrische sloep is possible for up to 12 persons. This ship sails here: the Markermeer. The homeport of this ship is Hoorn. Boat rental for a Scattering of ashes on the Blue Sea is possible for up to 12 persons. This ship sails here: Oosterschelde, Westerschelde, Zealand, North Sea. The homeport of this ship is Goes. 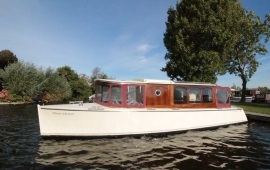 Boat rental for a Scattering of ashes on the Geertje is possible for up to 12 persons. This ship sails here: Amsterdam, Amsterdam canal cruise, The IJ, IJmeer / Pampus, Amstel. The homeport of this ship is Amsterdam. Boat rental for a Scattering of ashes on the Senathor is possible for up to 12 persons. 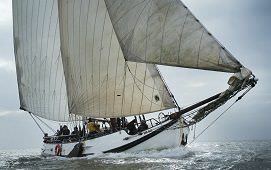 This ship sails here: Rotterdam, Rotterdam - Binnendams (Noordkant), Rotterdam - Maas, Westerschelde, South Holland. The homeport of this ship is Rotterdam. 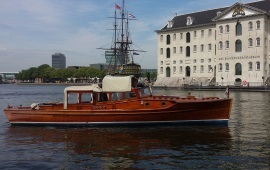 Boat rental for a Scattering of ashes on the Jan van Gent II is possible for up to 12 persons. This ship sails here: The IJ, Haarlem, Haarlemmermeer, IJmeer / Pampus, Amstel. The homeport of this ship is Amsterdam. 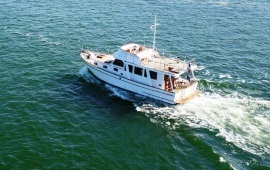 Boat rental for a Scattering of ashes on the Sarah is possible for up to 12 persons. This ship sails here: Amsterdam, Amsterdam canal cruise. The homeport of this ship is Amsterdam. 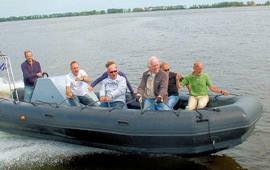 Boat rental for a Scattering of ashes on the Bornrif is possible for up to 12 persons. This ship sails here: IJsselmeer, Frisian lakes, Waddenzee. The homeport of this ship is Harlingen. Boat rental for a Scattering of ashes on the Warber is possible for up to 12 persons. This ship sails here: The IJ, IJmeer / Pampus, Amstel. The homeport of this ship is Loosdrecht.